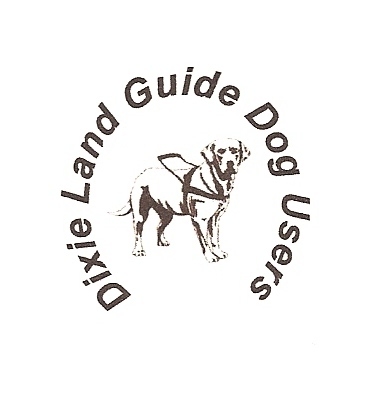 Dixie Land Guide Dog Users: Dixie Land Goes to Camp! Dixie Land Goes to Camp! July 27 thru 31, Dixie Land Guide Dog Users partnered with Music By Laurel Jean, along with Lakewood United Methodist Church, Lakewood, IL and Grace United Methodist Church, Charleston, SC to host a day-camp-style Vacation Bible School as part of Laurel Jean’s Children's Chaplaincy for blind youth. This event is called "Camp Lakewood", in honor of the Lakewood, IL UMC which presented Laurel with her first Braille Bible when she was a child, and continues to sponsor her Children’s Chaplaincy. This VBS was designed especially for blind kids, who seldom have an opportunity to fully participate in church. The theme was "Seeing and Being God's Light". Kids shared music (with brailed lyrics), enjoyed devotions (in Braille and audio formats), acted out interactive Bible stories, went on a couple of outings (including a trip to Grace Church) and did other activities, all designed especially for them! While the kids learned about God and brushed up on their independent living skills, they also were boosting their self-esteems and having lots of fun! Scroll down thru the next three posts to view highlights from our participation in this special event! Official Announcement, Top Dog Charleston, 2010! Dixie Land Talks About Jesus at Camp Lakewood! Dixie Land Guide Dog Users on Holy Spirit Friday!